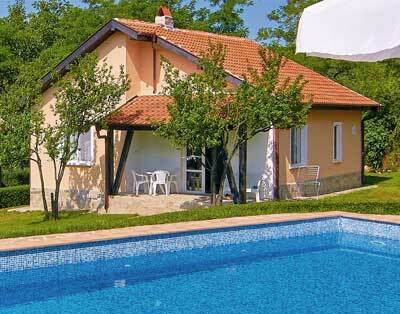 You have planned your holiday in a rental villa in Bulgaria but have not really decided how to get there yet? Here are some ideas on the matter. In case you are coming to stay in a rental villa with a swimming pool in Bryastovets or holiday apartment in Burgas, it seems convenient for you to book plane tickets directly to Burgas airport. And in most cases, it really is the better option. But keep in mind that some of the low-cost carrier companies like Wizz Air, Easy Jet, Ryan Air , Bulgaria Air, Eurowings, do not really have regular or cheap flights from many destinations to Burgas. That really is disappointing but luckily there is another great opportunity to find a cheap flight to Bulgaria. Sofia airport is the country’s main airport and thus it provides a significantly wider range of possible flights to take in and out of the country. United Kingdom, Italy, France, Germany, USA, Greece, Netherlands, Belgium, Swizerland, Portugal, Spain, Serbia, Romania, Africa, Asia, Middle East. Landing in Sofia, however, is a really good opportunity and it may turn out to be a lot cheaper than taking a flight that lands in Burgas. Which really makes this possible way of traveling an option to be considered. You are probably wondering about the infrastructure and the actual arriving at your private villa with a swimming pool, holiday apartment for rent or resort of choice after you have already landed in Sofia. Well, as a matter of fact, it can be quite simple. Once you land in Sofia you can take the metro from the airports metro station and you will be able to reach both the train station and bus station in about 18 minutes. And from that point on you have an entire list of opportunities to choose from. Taking the train to Burgas will surely be an adventure you will always remember. We know that the ultimate goal is to reach your holiday villa with pool in Sunny beach or apartment in Burgas, but why not have some fun and explore Bulgaria on the way? Train tickets from Sofia to Burgas cost somewhere from 15 – 19 Euro and the ride usually takes around 6 hours. We do realize it sounds like a really long and tiring journey but in fact, it is not. By taking the train you will find yourself passing through some of the most picturesque valleys. They are known as the sub-Balkan valleys and offer some of the most stunning sceneries you can find anywhere on Earth. From neat little villages to towering forests and outstanding panoramas – there are all sorts of sights to be enjoyed. Do not miss the chance to take a glimpse at the stunning beauty of Bulgarian nature. If anyone is concerned that a 6-hour long ride will prove to be boring, then you’ve obviously never taken a train in Bulgaria. Here you can come across some of the nicest and friendliest people, who will gladly tell you all the amazing stories about the places you pass on your way to Burgas. It is no secret that Bulgarians are really friendly and warm so a casual chat on the train is something you should be expecting. The bus station in Sofia is just a few meters away from the train station, so if you believe that a train is not what you are looking for you may as well consider taking a bus. The busses are direct and will stop you at the bus station in Burgas. The rides from Sofia to Burgas usually take around 5 hours but buses, unlike the two possible train options, travel regularly (at least one bus departures every few hours). So if you’ve missed the train, then a bus is the only suitable option. Prices here really vary depending on the travel company you choose. But they usually go from about 16 to 24 Euro. Traveling by bus is yet another amazing opportunity to enjoy different parts of the country while still being on your way to your rental villa with a swimming pool or an apartment in Burgas. If you are looking for a more comfortable and convenient way to travel from Sofia to your private rental villa with pool, then renting a car is the real deal. It offers you all the flexibility and freedom you may possibly need. A car-ride from Sofia to Bryastovets, Sunny beach or Burgas seems to be the fastest and easiest way to reach your destination since the ride usually takes around 3 hours if you go down the highway, which is two times faster than any possible public transport. There are numerous options to rent a car and they all supply you with greater mobility and flexibility. Another great asset of renting a car is that you can take a car straight from the airport and arrange to drop it off at almost every spot of the country. For example, you can drive to Burgas, use the car all the way through your holiday (which also gives you limitless opportunities to explore possible activities around the entire northern part of the Bulgarian seaside) and return it at any airport you like. Or return it straight away as you arrive at your destination. It is all up to you and it is guaranteed to be an option that suits all of your needs. Just as anywhere else, prices here range largely depending on the car model you’ve chosen and the amount of time you are planning on using the car. But as a matter of fact, you can find some really good deals on rental cars that will provide you with an even better holiday experience. One last perk of renting a car is the chance to take trips around the local points of interest or go even further and explore the country on the way to your rental villa or apartment in Burgas. For those of you who don’t want to use any of the listed options, our company will do their best to provide you with the most satisfying vacation experience. We can provide you an airport transfer from Sofia Airport to your holiday villa with pool or your holiday apartment in Burgas at the best prices.